V. S. LAW OFFICE have good knowledge of criminal law of india. Our Firm have good professional experience to deals in criminal cases like Regular bails, Anticipatory bails, criminal defence trial and also in criminal revision and appeals. Our Firm always think about our client interest and justice. General Criminal laws namely Bails, Trial, Evidence, Suspension of Sentence, Appeals, Revisions, Quashing of FIR and Criminal Writs. Criminal cases are the most difficult tasks to handle as compared to civil cases. The lawyers for criminal laws should be very dedicated in saving the life or the imprisonment or any penalty of the innocent persons. 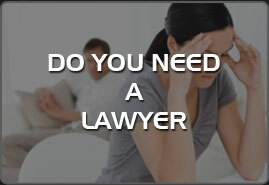 Our lawyers are the experienced people who are well versed in all types of laws related to criminal cases. We have saved lot of our clients from being penalised for miscelleneous issues and we enjoy good faith in all our clients and our network is very strong the our capabilities are very robust for criminal cases .